FACTOID # 7: The top five best educated states are all in the Northeast. Located in the heart of New England and bordering three states and one Canadian Province, New Hampshire is a largely mountainous state with wooded valleys and pristine rivers and lakes. Mount Washington is the tallest peak in the Northeast and famous for its violent weather, where in 1934 the highest winds ever recorded on Earth were observed. The mountain is part of the White Mountains Range, which stretches across much of the central portion of the state. 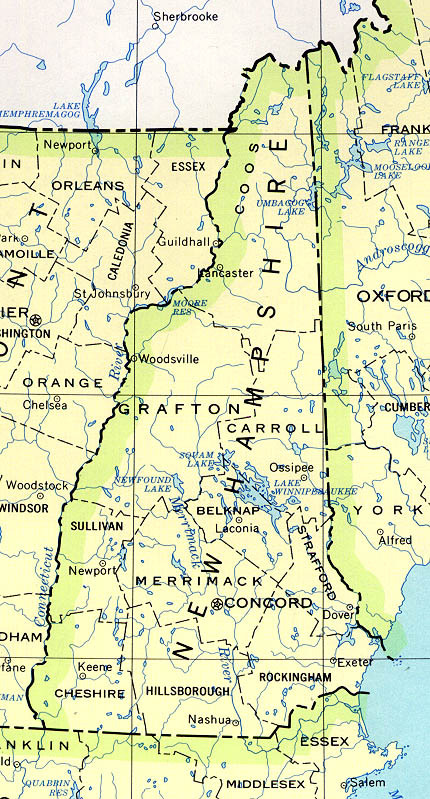 The southern portion of New Hampshire has lower elevation, and in the extreme southeast corner, a mere 18 miles of coastline. 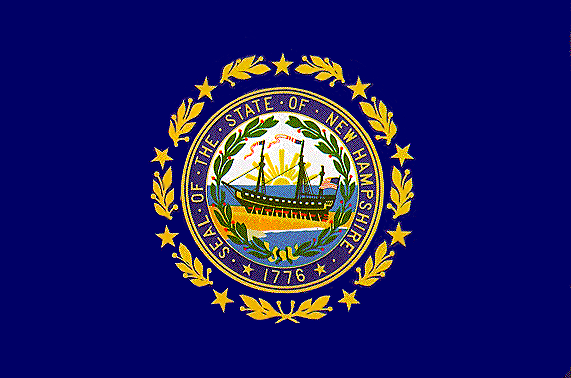 Originally settled by Europeans in 1623, New Hampshire suffered from frequent Indian raids, and in 1776, was the first colony to declare independence from Britain. It became the 9th state admitted to the Union on June 21st, 1788. New Hampshire has a high percentage of people from 'old colonial' ancestry, that is, people whose descendants were original colonists. Some 19% of the population is Irish and 18% British. Industrialization hit New Hampshire early in its history, with textile and paper mills dominating small and large towns. Most of this industry has suffered from serious decline, but the growth of high-tech industries and tourism has helped prop up the economy. The extreme southern regions of the state have the fastest growing populations, whereas the northern region has less than 5% of the population and relatively high levels of poverty. New Hampshire's liberal tax policy encourages the growth of small bio-businesses, light industry, and service firms. The state is arguably the most conservative in New England, with long time support for the Republican Party. Recent trends, however, suggest New Hampshire is turning into a swing state, giving its 4 electoral votes to John Kerry in 2004, becoming the only state to vote for George W. Bush in 2000 but not in 2004. Libertarian politics have strong traditions in the state, with the highest density of Libertarian party members in the country. It is also the only state in the Union which allows for revolution. 6th April 2011	 Judicial has bad reputation and property taxes are very hi.